This analog watch for women features a black round dial, encompassed within a brass case. The dial has plain three hands with slanted lines at the five-minute intervals and the dial shows the date beside the three O’clock position. Made of metal, its steel strap comes with a divers clasp without a safety latch closure. 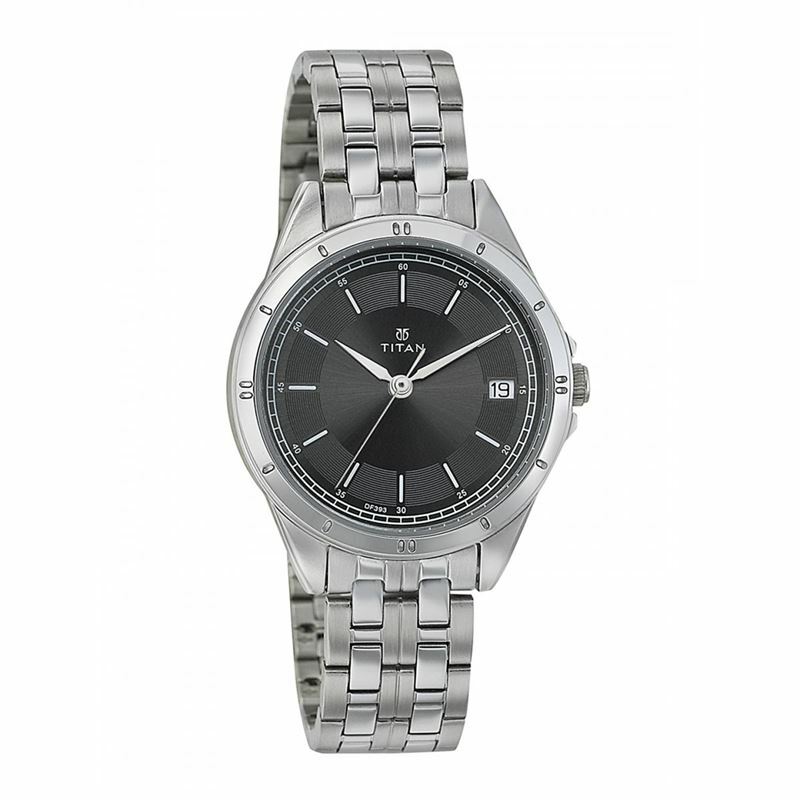 A silver white crown lets you adjust the time. This watch is equipped with 5 ATM water resistant.